chain length chain length (required)14" Child16" Standard18"20"22" chain length (required)14" Child16" Standard18"20"22" chain length (required)14" Child16" Standard18"20"22" chain length (required)14" Child16" Standard18"20"22"
You name it! 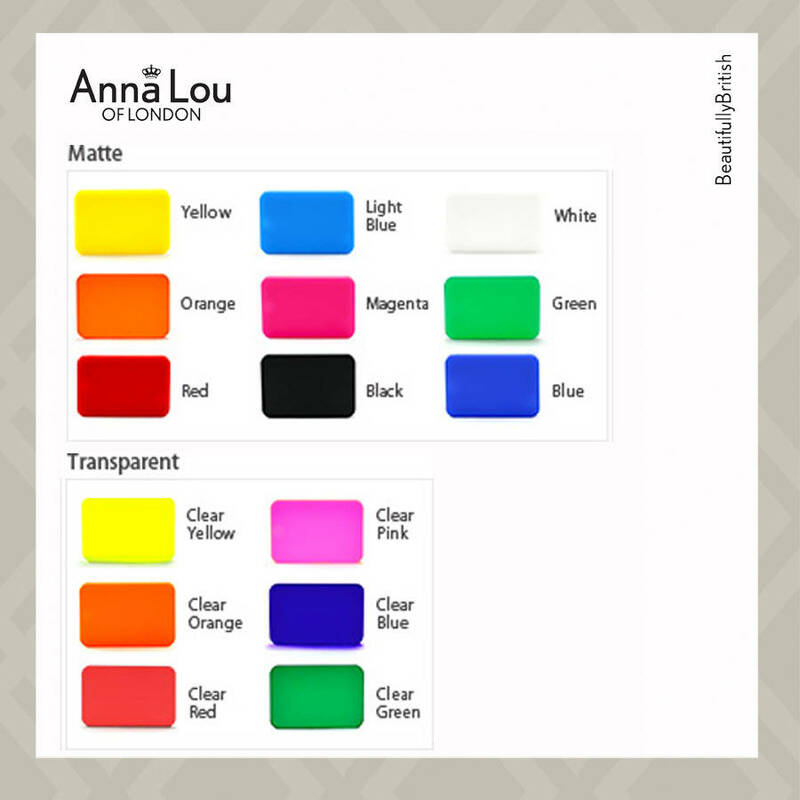 Design and personalise your own original Name Necklace . Laser cut and finished in London by hand. 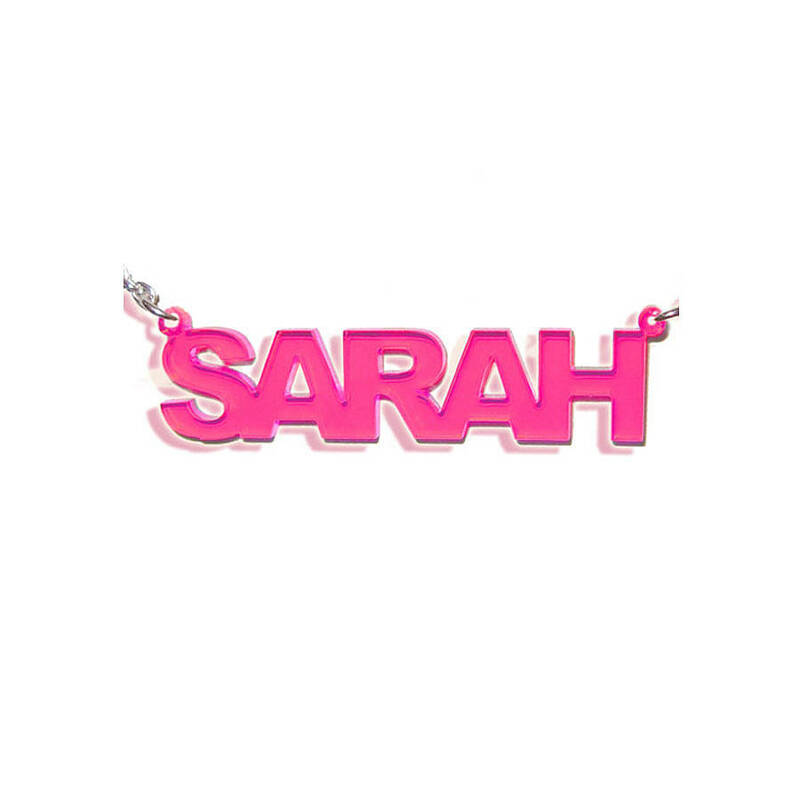 These acrylic name necklaces are cute, kawaii, and ultra feminine. These necklace are an ideal gift to yourself or a friend as they full of fun, quirky and girly which any lady young at heart would love to have in their jewellery collection. 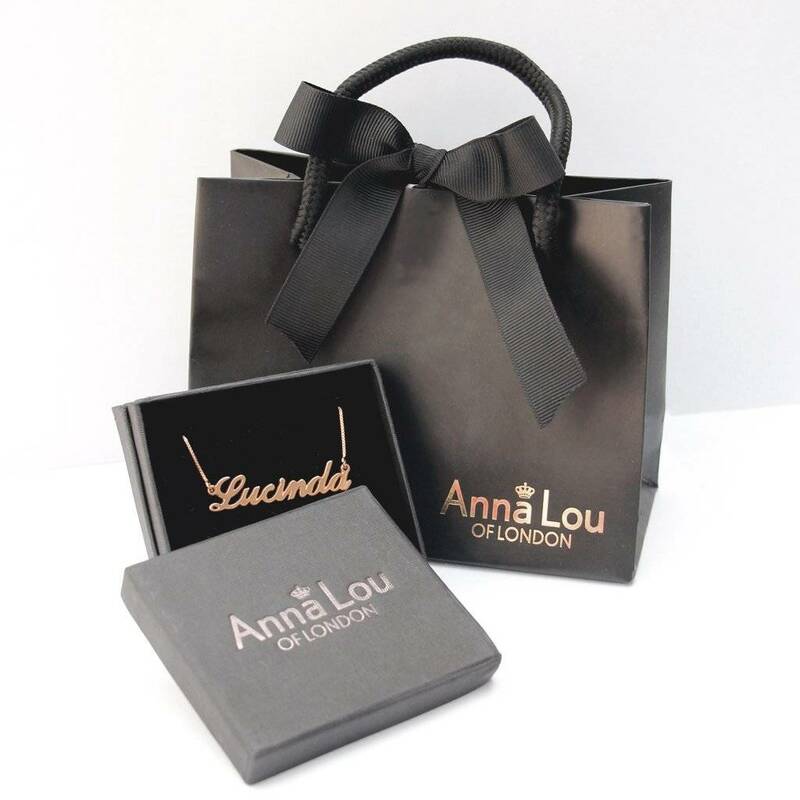 All products will be delivered with gift wrapping which includes tissue paper and box. Please note the packaging may vary slightly depending on the size of the box needed for the item ordered. One name or word per pendant. All the letters are capitalised. We recommend limiting the name/word up to 9 letters/characters. The chain length mentioned at our website does not include the pendant. The length of the pendant varies according to the individually chosen name. Thickness: 3mm / 0.12" Height of pendant: 10mm / 0.4" Chain style: Rollo Chain Chain length: 14",16",18",20",22"